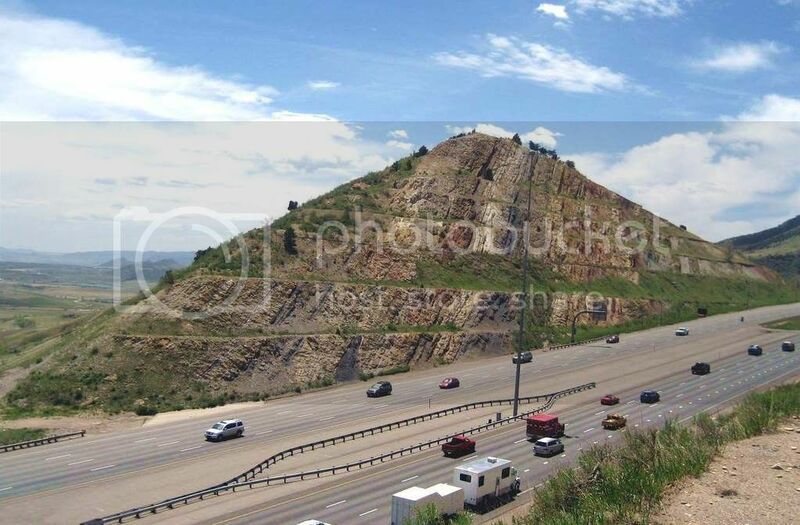 Interstate 70 just west of Denver cuts through the Dakota Hogback, aka Dinosaur Ridge and the cut exposes about 50 million years of geology. Here, looking south, the strata are tilted down towards the east, continuing under the Denver Basin. The oldest rocks are to the west (right of the picture). 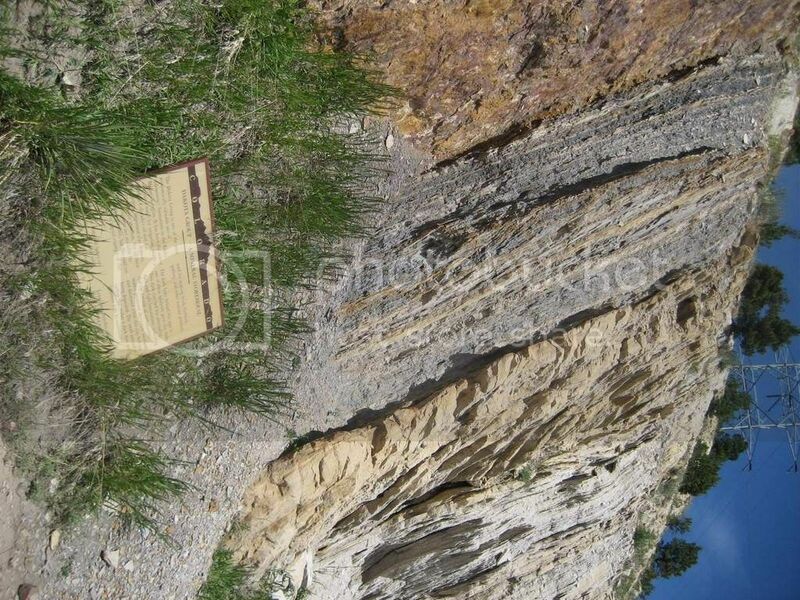 The youngest rocks to the left are about 100 million years old. This is one of the best exposures that can be easily viewed in the country. Driving east there's a sign indicating a point of geological interest and you can park and walk up a trail with excellent descriptive signs. If you drive a little way south below the ridge there are dinosaur footprints, and fossilized ripples from a shallow seabed. ...and there's a footpath with a handrail to stop you rolling down the slope onto I-70. This is on the north side.